Saif is a 30 ft fast daysailer. It is designed to be fast and easy to use, also in regatta. It takes inspiration by the striped the arabian sword, Saif, and it is designed to sail in the Arabian sea. The client request was a 9m sailboat that is comfortable for 6 people onboard. The profile is low on the water with a sheerline that falls gradually down from the bow to the stern. 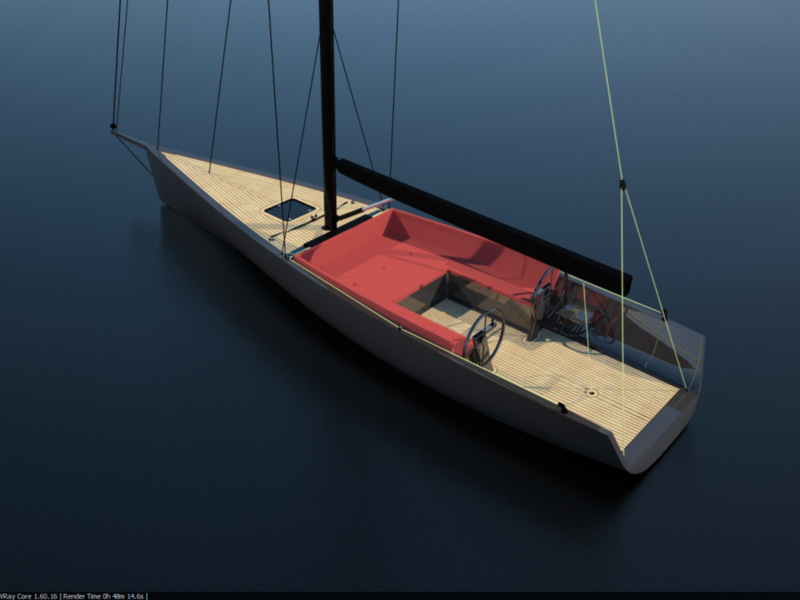 The hull design is modern, with an open bottom, in order to have more form stability expecially during downwind. The sofa is another characteristic element. It is not only a design object but it is also a functional. In the side are hidden easy sailing accessories, a stereo and refrigerators. The low and open bow is thought to be like a terrace on the sea. It makes easy to jump into the water and come onboard again. The hull is made of innovative and natural materials. Eg. the use of jeans fabric for the cuscions.